I work on your behalf, calling on spirit for guidance. 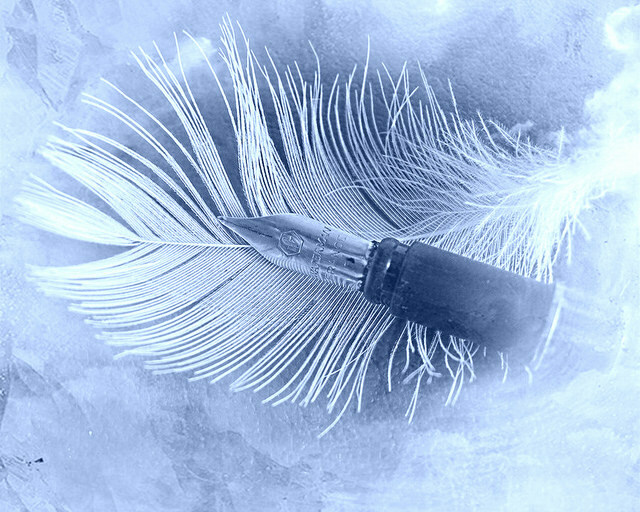 I channel on your behalf through a process called Automatic Writing. I quickly tap into source energy. Once I begin channeling, the writing happens very rapidly. I also tap into your energy field, balance your chakras, sending you healing (source/Reiki) energy. I also use Oracle/Tarot cards as an additional tool. This is what I have come to name as Restorative Soul Writing. You don’t need any special writing skills though- just a willingness to share via the written word. I call on the clair senses. I am clairsentient, claircognizant and clairvoyant. First and foremost, I am an Intuitive so giving me a paragraph or two about your situation helps me tap in. We work together collaboratively. You choose a “package” of 1, 4 or 8 exchanges and we dialogue through private and secure email. This is much like letter writing. The reading includes clarifying information about your situation and any clair messages I receive such as images or feelings. I call on Reiki energy and tap into your Chakra system to see which one(s) need the most balancing. I give you pointers on how you can keep that Chakra of concern balanced and what the Chakra represents as related to your situation. I also pull an Oracle or Tarot 3-card spread and tell you which cards came up, what the cards mean in general and what the card means regarding your situation. I close by sending healing and balancing energy to you. What topics are best suited for this type of reading? If you are struggling with a difficult situation – whether work-related, relationship, or family I can usually assist. I have a background of 20+ years as a psychotherapist and 10+ years as a life/wellness coach in addition to my Intuitive gifts. Once you have chosen your package you will receive an email from me that will offer a secure and confidential method for us to communicate. In the email I will offer you a welcome letter that gives you pointers on how to get started with your first letter to me. I respond by calling on my skills, intuition and channeling abilities. We continue in this manner for as many exchanges as you desire. Once I receive payment, you will receive a Welcome Letter from me within 24 hours and you will be provided a place to write to me about your current concerns. Our communication remains confidential and in an encrypted space so please do not email me with your personal information until you hear from me. 1, 4 & 8 Exchange Packages are available. An exchange is your letter to me and my response. The initial Welcome Letter from me is not considered an exchange. This is one exchange. Once you receive your Welcome Letter, you will write to me about your concerns and questions. I will respond to you within 2 business days. My response will be conclusive with the assumption that no further exchanges will take place. I may give you questions or thoughts to ponder and at some point you may decide to return for an additional session. This is a series of 4 exchanges. Once you receive your Welcome Letter, you will write to me about your concerns and questions. I will respond to you within 2 business days. My response will include questions or thoughts that you might consider in your response to me. Once I receive your response I reply again until we have completed the 4 exchanges. This is a series of 8 exchanges. Once you receive your Welcome Letter, you will write to me about your concerns and questions. I will respond to you within 2 business days. My response will include questions or thoughts that you might consider in your response to me. Once I receive your response I reply again until we have completed the 8 exchanges. Interested in a course instead? Check out my course library here.